The first thing that many notice about Hecate is that she is heavily and horrifically scarred. Severe burns and Threadscores cross all over her body, leaving very few parts of her unmarred. It is startling, terrifying and she is more than used to people staring. 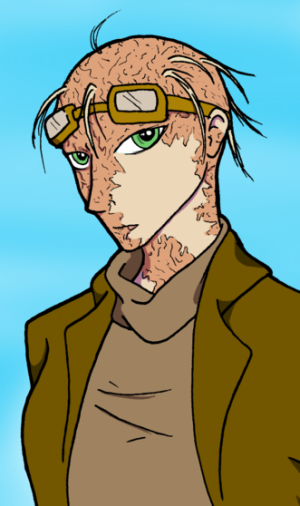 Her eyes are green, standing out against dead and heavily scarred skin. Hecate is rather strongly built, her body fit and powerful from Turns of fighting Thread and protecting anyone who needed it. She wears dark, earthy colors, and prefers to keep the majority of her body covered, knowing she is somewhat hard to look at. She is rather tall for a woman as well, and often carries herself with an imposing air. The turns surviving the Summerlands Wilds have only hardened her. 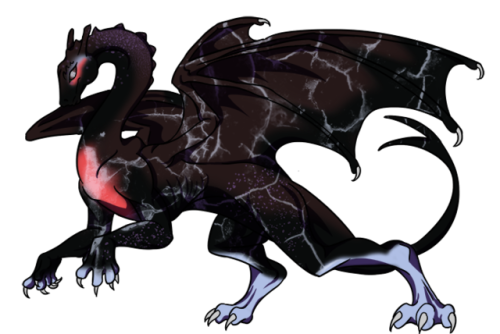 New scars over old scars, and there is a hardness to her eyes that make her as intimidating as her dragon. She is powerful, and every part of her shows that she has so far survived everything that Pern has tried to throw at her. And she won. Hecate sees herself as a guardian. She is a great figure, one who stands tall in the storm and holds herself strong. She is often quite serious and stern, focusing on her role as a soldier, someone to protect and serve. She is incredibly patient, and is capable of perching still and silent for hours in order to ensure that no one is going to harm what has become her people. The rag-tag group of lost dragonriders, those are under her care and there is no power that will be able to stop her. She is not a dragon, and she cannot be compelled. The turns have made her a very cold person, but she has bled for her new family and will do it over and over again. That is not to say she is completely devoid of humor. Hecate is quite skilled at being a deadpan snarker, and once in a while she will even smile. She is an extremely skilled fighter, having been trained to be a private guard for the senior weyrwoman. She takes a small bit of pride in taking care of others, but she has no need to gloat. Because she rides Cabadath, she has little patience for traditionalist. She has become somewhat bitter, and more willing to resort to violence because that is how survival is ensured, and she will do everything to survive. Hecate was born in the dead of winter in Ista Weyr. Not a notable birth, not by any means. She grew into a healthy, strong young woman who was more than willing to jump right in to being a guard, or to do anything that involved protecting others. She had a strong desire to protect others, to take care of the weak. It was through that sense of protection that caused her injuries. A fire erupted in Ista's lower caverns, and Hecate, only 15 turns old, continued to rush into the blaze and rescue humans and firelizards who had been trapped. It took an entire Turn for Hecate to return to functionality. She was in the infirmary for months, just recovering and being able to move normally again. As soon as she could, she decided to stand. She had decided that the best way to protect people in the warring times would be to find a dragon, and make sure that she could keep Ista safe. At 17, things seemed to fall into place. Standing among the other candidates, with several rude remarks about her horrific condition, Hecate was confident. She wasn't going to impress, they said. Too ugly to have a dragon, they said. Hecate stood proud, and strong as the shells cracked. The large egg - that many said was gold - split open, and what was inside was definitely not gold. No, it was something else. Not brown. Not bronze. Something strange. Cabadath, as he was, ended up to be one of a kind. No other dragons of his color have appeared since, and he assured the weyr that none ever will. He and Hecate scratched and scraped their way through weyrlinghood, graduating to the low wings due to Cabadath's massive size. Some confusion rose about his mutation, and his ability to sire a clutch. 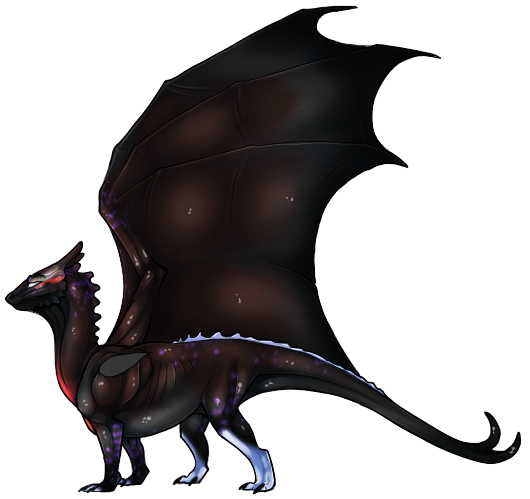 Sure enough, he managed to catch Gold Glycinth when he was 15, and sired a fine clutch for Ista. With the coming of peace, Hecate and Cabadath continued to devote their time to protecting others, but this time from Threadfall. The pair pushed themselves to protect Ista, and upon hearing of the troubles that befell Fort Weyr, Hecate volunteered to transfer with Kallia to ensure the Peacekeeper Weyr did not fall. The time was not simple, and Kallia's callous treatment of the weyr and its inhabitants did not do well for Fort as a whole. Cabadath and Hecate survived to see the hatching of Gold Serapheth, a dragon after Cabadath's very own line. The viciousness was not unnoticed, but neither of them cared. It was threadfall that claimed them, Cabadath throwing his massive size over one of his own - Green Obiath - to protect her from a storm of fire and death. The pair pulled themselves Between and that should have been the end of it. The two came out in a storm, the injured two already disoriented and in pain crashed into a jungle that neither had ever known of and no one knew. They didn't know where they were. Cabadath's other eye was ruined, the beast only able to see through the eyes of his rider and using her to be able to navigate and find some sort of peace. Hecate was never prouder of her dragon, and the two started to find and care for others who had been lost in this Nowhere. They were family now. They'd survive at all costs. We are the beginning. You are the end. Cabadath is massive. Utterly massive. He rivals golds in size, and is as strong as the best of the bronzes. He is muscular, and there is definitely no missing him. His hide has a faint shine to it, perhaps suggesting he was supposed to be bronze, but something obviously changed while he was developing. He is a deep, dark reddish-brown all over. His wingsails are licked with blue fading into black, like fire crossing over his wings. His face and underbelly, under his neck and down to his tail fade from black to steel gray to black again. His legs are the same black-blue color, with his back legs bright white-blue, as if they are covered in armor. The ridges on his back are the same white-blue color, and his front toes share the same coloration. His body is marred with threadscores, and he is blind in both of his eyes, relying on Hecate for his vision. 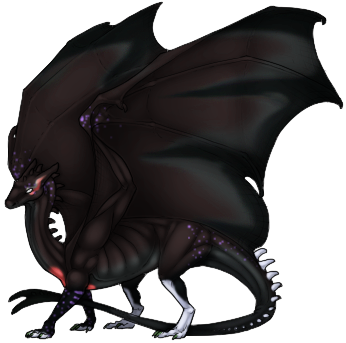 Parts of him are speckled with a purple-blue, like he is glowing in low lights. His chest has a soft red patch, and his eyes and sides of his head are streaked with the same red color. His voice is deep, echoing and rattling as harsh as the thunder. Cabadath is a monster of a dragon. He is large, imposing, and he sees no problem with this. He rarely speaks in clear words, often coloring his speech with confusing riddles and frequently refers to himself as 'we', possibly speaking as if he and Hecate are one being, not two. He thinks in abstracts, frequently giving people names that only make sense to him, and rarely feels the need to explain them. He has little care for authority, seeing himself as the perfection of all things, and no one will be able to match him. He has no inherent haughtiness, no arrogance. He believes he simply is. Having a keen sense of order, Cabadath is quite good at organizing during Threadfall or attack. He is loyal to Hecate and her alone, though he may show a sense of protection towards weyrlings or humans. On a whole, he finds other dragons annoying, only wishing to be around them if he absolutely must. Cabadath rarely raises his voice, and does not show his anger unless he feels the situation really warrants it. He is a monster should he need to fight, showing little or no remorse when others are wounded, even if he caused it. He is not a dragon who starts fights. Instead, he is one who ends them. Living in Nowhere has only strengthened his already powerful resolve and his viciousness. He has had to protect many, and that will never change. Voice: Cabadath's voice is a deep, horrific resonance that is jarring and intimidating. It doesn't really get easier with time.